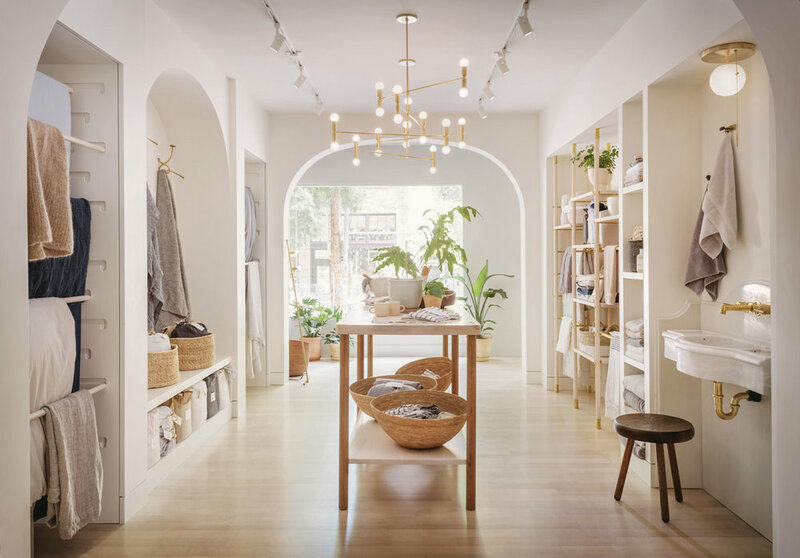 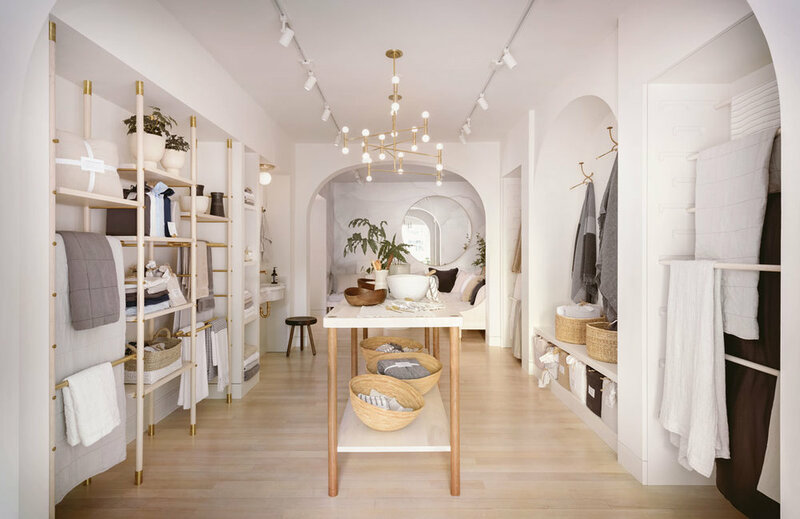 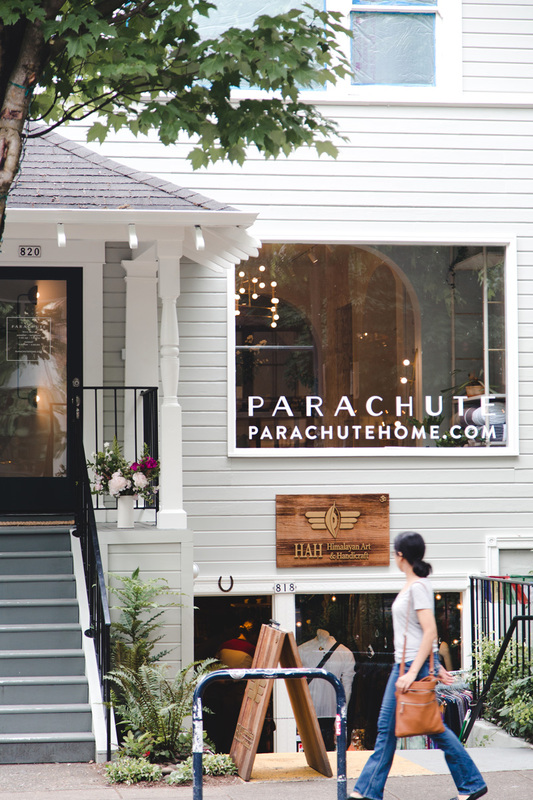 In a historic storefront on Portland’s trendy 23rd Avenue we created a pretty retail shop for luxury line Parachute Linens. 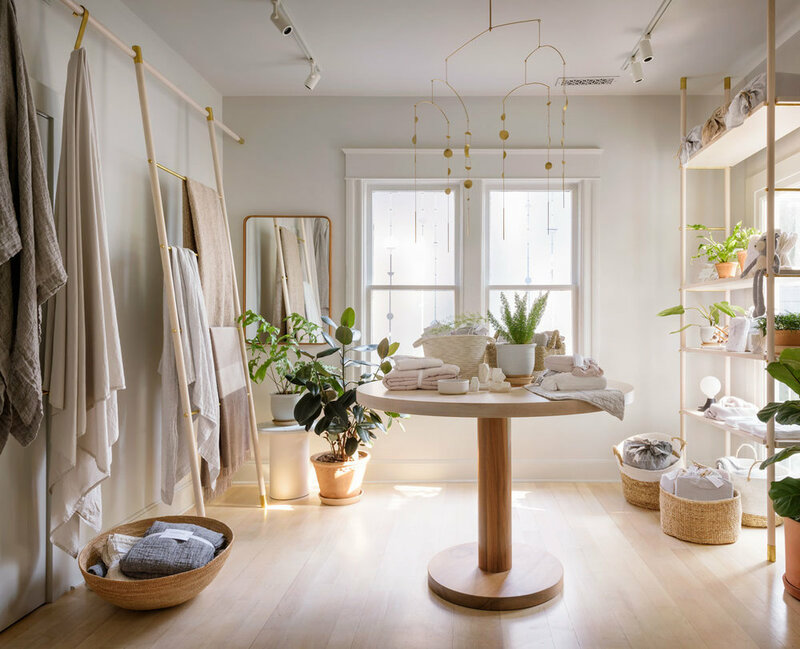 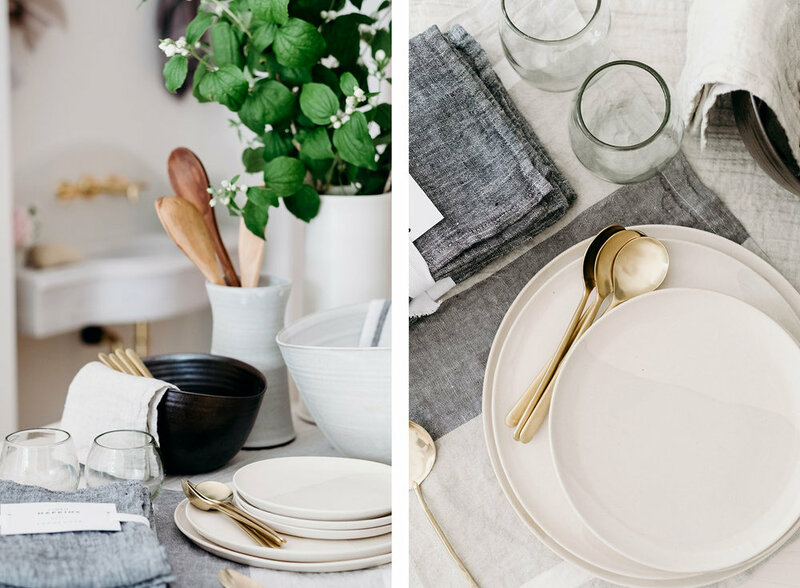 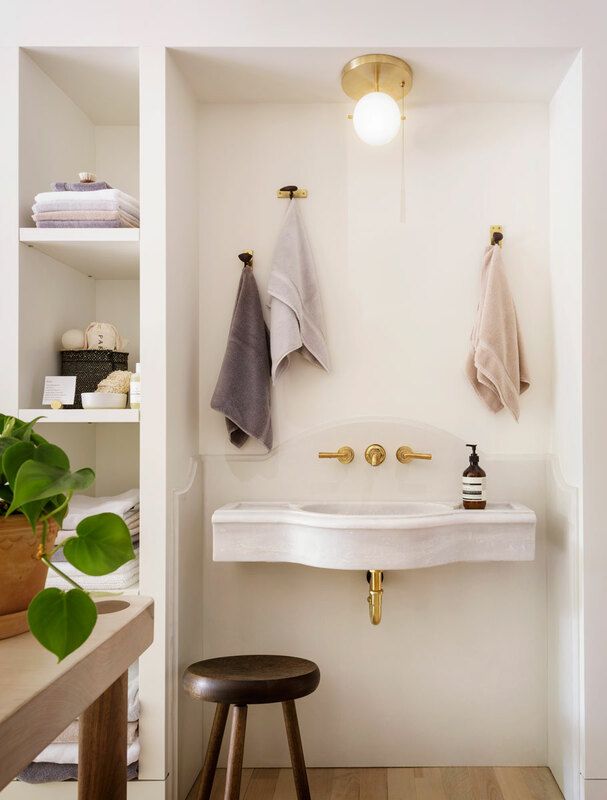 The palette is soft and welcoming, reflective of the brand’s product offering. 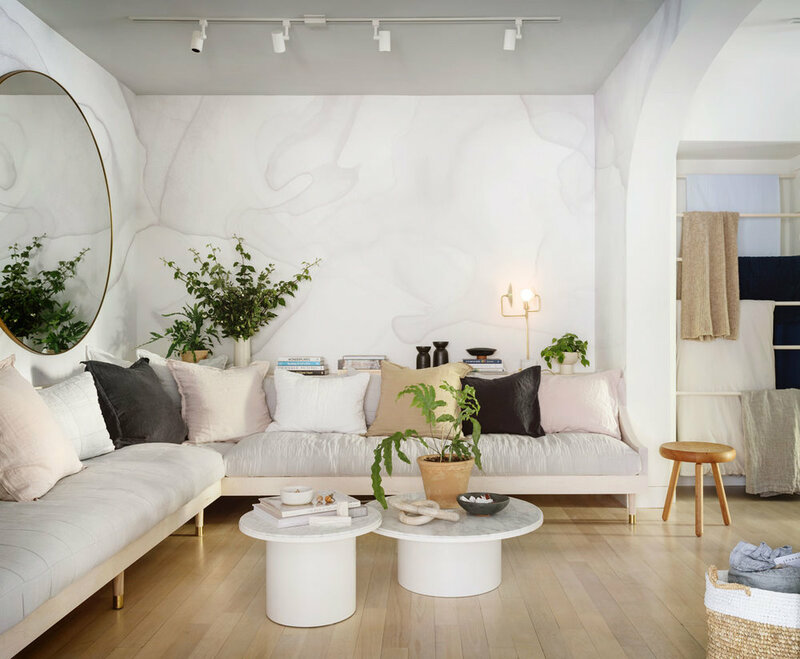 A giant cozy built-in sofa upholstered in a variety of Parachute linens allows customers to get a close-up feeling for the fabrics.